There is no argument that India’s real estate prices are totally out of sync with the income levels. Even as India’s other major asset classes such as equity and bonds have languished, real estate has continued to make newer highs almost every year. This has made real estate sector a bubble, with new investors continuing to put in money in search for a greater fool. However, this has meant that the real estate prices have become incongruous with the income levels. Even businesses are finding it hard to execute with rentals forming too high a percentage of their revenues. With the Indian economy in a major slump with large unemployment losses and declining sales of cars, consumer durables etc. – real estate has started feeling the heat. The inventory levels of top realty companies have hit a new peak and the average inventory levels is almost 3-4 times that of a normal inventory level. There is no way that real estate prices can increase in such a scenario with income levels taking a dive for most people. High inflation has eroded the disposable income levels and black money can only buy so many apartments. Analysts and industry researchers remain in their illusion world saying prices will not correct despite the obvious anomalies. The National Housing Bank recently released its residential housing index which shows that prices declined in 22 out of 26 cities this quarter. Note prices have increased by almost 100% in the last 6 years, which is much more than consumer inflation. It is not a good time to buy real estate for investors as the best that they can hope for is no price falls, while the worst looks like a 40-50% decline in prices. One indication of the overvaluation is the low rental yields of 1-3% which shows that the real estate prices cannot justify the income levels in the country. 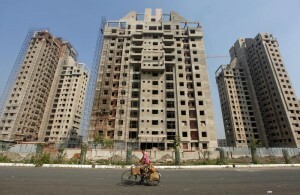 I would be extremely wary of investing in real estate in India at the present time. 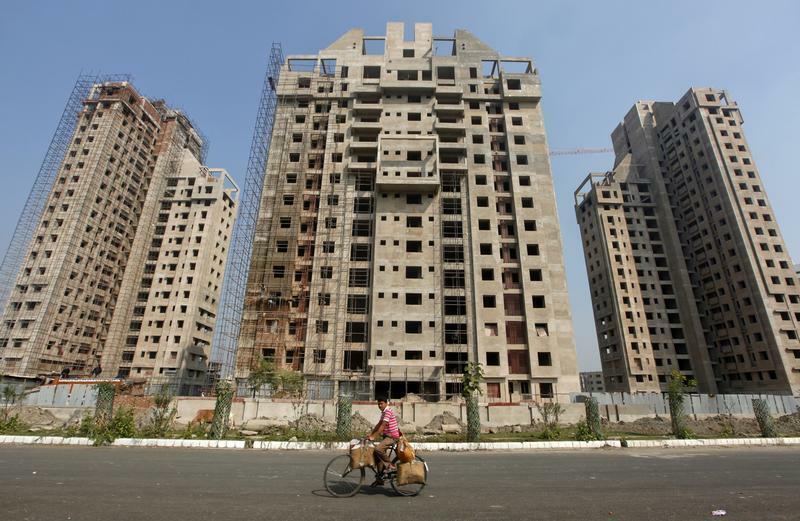 Realty developers are hopeful of clearing a large portion of their inventory pile-up during this festive season by luring in buyers with freebies and discounts, even as they sit tight on declared prices. Developers are likely to attract buyers through several discount schemes/gifts with most common being gold coins, cash-back on monthly rentals, customisation, free parking and club facility, zero brokerage and upfront cash discounts, among others. While Lodha has offered Rs 2 lakh discount on spot booking for its ‘Lodha Elite’ project in Dombivli, Mantri Realty is offering 100 gm gold on bookings till September 18 for its upcoming Serene project at Goregaon.